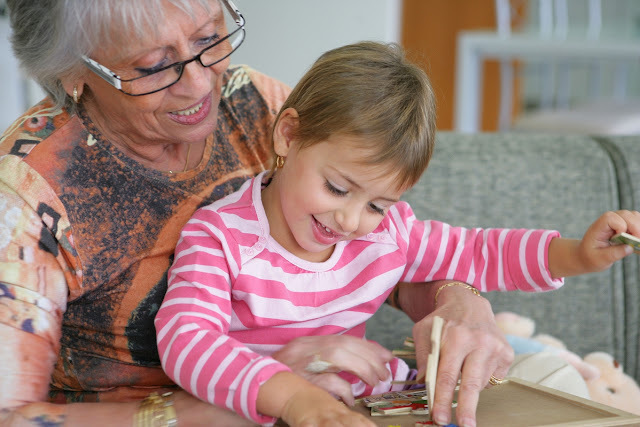 The role of grandparents has changed in ways we could never have expected. The world has changed so dramatically in the past ten or twenty years, what we know now would have seemed foreign and strange to our parents, never mind our grandparents. Never before in the history of the world have grandparents been given so many opportunities. Many people are becoming grandparents in their late 40s. For many of these people, they are still working full time, and are still paying off their mortgages. Grandparents are wealthy like no other group of human beings on the planet now and in the past. Many grandparents fall into the category of “Baby Boomers”. This select group was the most successful individuals in terms of wealth and comfort so far in the history of the world. Born after the Second World War, Baby Boomers worked hard and helped build the society and culture many people appreciate today. They also have a vast amount of wealth. My Irish grandmother was dirt poor. She drank, she cleaned her home, cooked her meals, and then drank some more. As far as I know she never took a holiday, and she certainly never played golf or enjoyed the finer things in life. It has reported that in the US alone, Baby Boomers held 80% of the country’s wealth in 2014. … households whose main residents are aged between 55 years old and 64 years were $173,000 richer in real terms in 2011-12 than the same cohort was eight years earlier. ...the boomers are expected to transfer some $US30 trillion in assets to their heirs over the next 30-40 years in just the U.S.
One thing most grandparents are not short of is money. And that money is going to allow them to remain healthier, have access to a great deal more resources, and it will also buy them time. So what are these new breed of grannies and grandpas up to? Many grandparents are either working, semi-retired or fully retired. They are reaping what they sowed. They worked hard, and now they are enjoying their leisure time. They have access to the internet, visit exciting new places, and they are volunteering at sporting and hobby clubs all over the world. Best of all they have the time to spend with their families. And, this last point is the most important. Grandparents have a lot to offer, and I don’t mean their wealth. They can use this time to help their children and their grandchildren become better educated and can survive the community more fully. In years to come, it will be interesting to read reports about the long-term positive impact grandparents have had on their grandchildren, our world’s future leaders. Susan Day, children’s author and writer. Her blog, Astro’s Adventures Book Club, is full of ideas and tips, for grandparents, parents, and teachers to help them support children in their literacy journey. As well, Susan has created a guide for grandparents who want to build a more meaningful relationship with their grandchildren through a shared love and passion for books. Susan lives in country Australia with four dogs, three boss cats, three rescue guinea pigs, and an errant kangaroo. And, apart from blogging, writing, and reading, she loves coffee, painting, and gardening.